Samuel and Isaiah heard the Lord’s voice and responded in obedience to His call. Throughout the Scriptures, the Lord called His people to do a variety of things. He called Moses to lead God’s people out of slavery; He called Gideon to deliver the Israelites from the Midianite’s oppression; He called Mary to give birth to Jesus, the Son of God; He called Peter to go to Cornelius’s house to bring the Gospel to the Gentiles; and there are so many more accounts like this. In some cases, there was immediate obedience and in other cases there wasn’t. The effect of instant obedience to His voice is life-changing for us and the lives of those we touch. It requires flexibility and a willingness to die to our plans and give way to His. Let’s observe how Debi responded to the Lord’s voice. Later that day my father and I were having lunch and when we finished we were going to work in his garden. While enjoying my lunch and our conversation, I heard God whisper into my ear (as if He were sitting next to me) “You need to go back and see Mary today.” When I told my dad about my clear orders from the Lord he said “Well, we’ll just have to work on the garden next week.” So off I went to see Mary. We were having a very pleasant visit when one of the staff came in and began a conversation. Apparently when Mary was admitted they talked about advance directives and she instructed them that if she stopped breathing that they were to make attempts to revive her. Her son, however, had just called and stated that she had changed her mind and now wanted to be listed as a DNR (Do Not Resuscitate). She said “Yes, that is true, I don’t want to live like this anymore. I wouldn’t wish this on my worst enemy.” The staff member said that they had written up new paperwork with new instructions and that they just needed a signature and a witness. She asked Mary if her “friend” could be the witness and Mary said “Yes, Debi is like a daughter to me.” So, I signed the papers and returned to our conversation. I wish that I could say that I’m always obedient when I hear the Lord speak, but this time I was and it meant so much to her family to know that their mother wasn’t alone in her final moments. Does God speak to us today like He did to Debi? Her story certainly bears witness to the impeccable timing of the Lord for her to be by Mary’s side as she slipped into eternity. Debi’s sensitivity to the voice of God allowed her to join her heavenly Father in Mary’s home going. The Lord set it all up, but because of Debi’s instant obedience she was in the right place at the right time. I admire how she and her father were willing to adjust their plans to God’s greater plan. Think of what would have happened if she had not instantly obeyed the Lord’s voice. How flexible are you when God has another plan for you in a day? 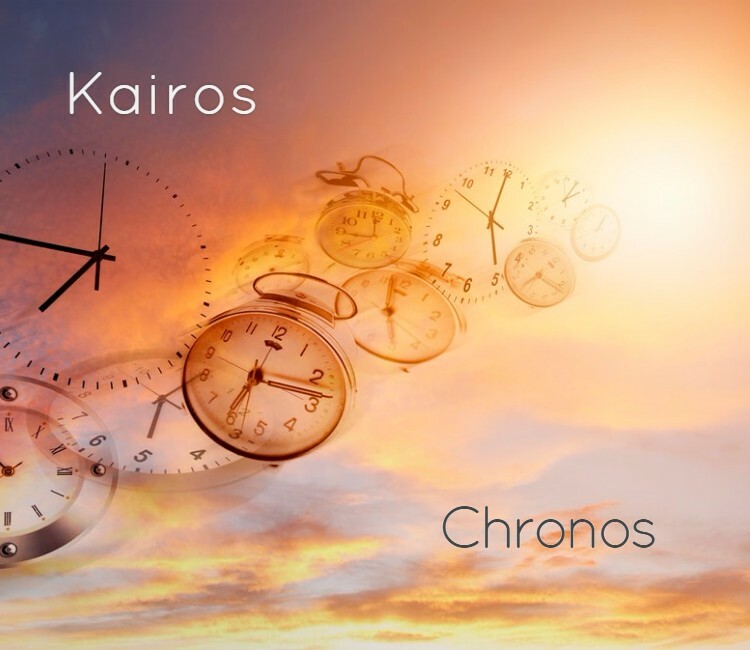 Are you driven by chronos? What would it take for you to be sensitive to the Lord’s voice and instantly obey Him? Take some time to consider this with the Lord, so you will be available to the Lord when He calls on you.